They say being brave isn’t the absence of fear, but rather doing that thing which you are afraid of despite that fear. So then, what is the word for going to the gym when what you really want to be doing is diving face first into a plate of cookies? Willpower? Determination? Insanity? My step-dad turned 70 a few days ago and I volunteered to make cupcakes for his birthday party. 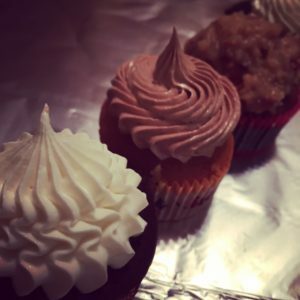 I’m a fan of buttercream and have a tried and true recipe, but I was feeling adventurous, so I set out to find something different. I found this buttercream recipe from Butter With a Side of Bread. The difference is the addition of Marshmallow Creme. It adds such depth to the flavor. Plus the texture is more airy. I used the same recipe for the chocolate frosting but added a couple of Tablespoons of cocoa powder and used coconut flavoring in place of the vanilla. So yummy! Then I made my step-dad’s favorite, German Chocolate. While I need to improve my piping skills, I had so much fun making these cupcakes that I plan to make a few dozen more for the kid’s graduation party coming up later this month. Ack! My baby is graduating! I am going to need more than a few cupcakes to get through that! 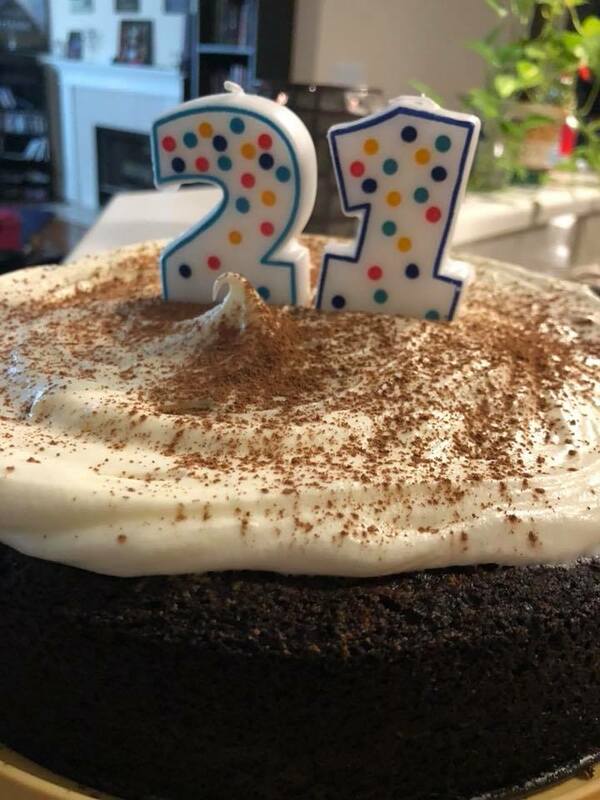 When my mother asked me what cake I wanted for my birthday this year, I asked her if it would be okay if I made my own. She laughed and asked why. 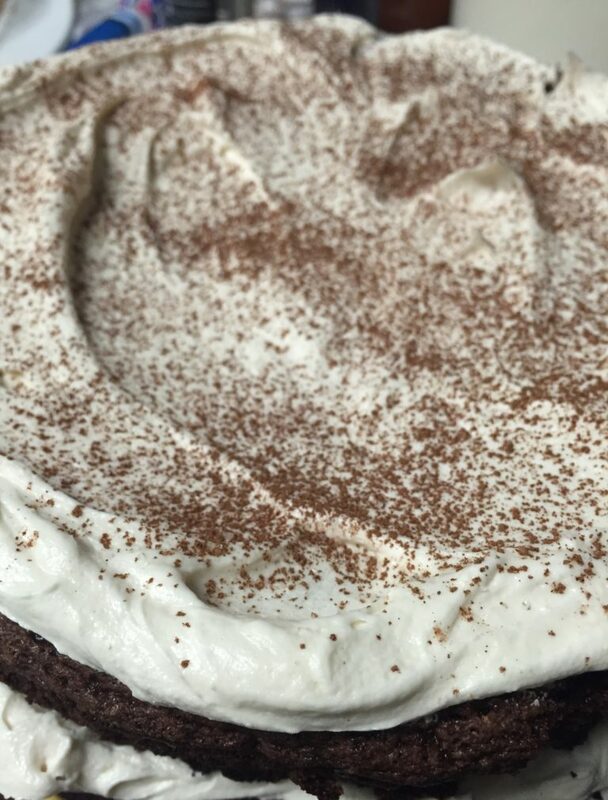 It’s because of this Guinness Chocolate Cake recipe I found at A Beautiful Bite. The most important part of a birthday party is the cake. I don’t need presents, decorations, or ton’s of guests. Just the people I love and a good chocolate cake with buttercream frosting. Keep your Red Velvets, Double Chocolates, and Italian Cream Cakes. Don’t even try to bring me an ice cream cake (too cold) or the worst possible choice, a “cookie cake”. Cookies are my favorite, but a giant cookie f rom a Super Store is not a cake. Seriously. I followed the recipe as written in the link above, except I didn’t have espresso powder so I omitted that. I also reduced the amount of Bailey’s in the frosting to 3 Tablespoons. I think next time I might reduce it even further. It was a bit strong. This cake was wonderful, but absolutely divine the day after. The cake soaks up the frosting and becomes even more moist and decadent. No worries, if you don’t care for beer. You can’t taste it in the cake. It just gives it just the right amount of richness.